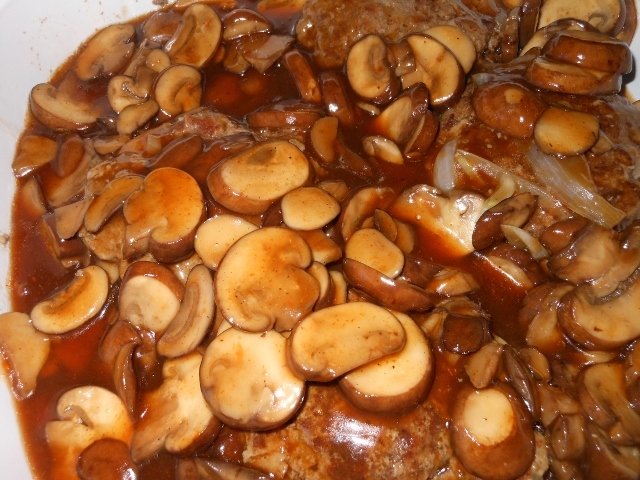 I made Salisbury Steak today for the first time ever. I remember hating it as a kid but it was basically hamburger patties with instant gravy when we’d have it at school. 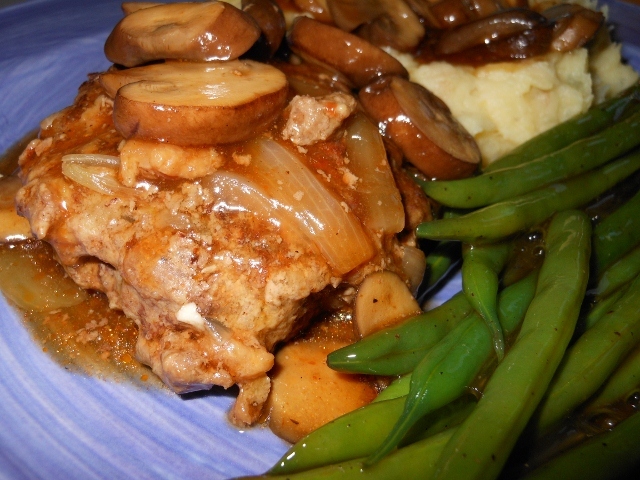 I made a meatloaf type patty and used lots of mushrooms in the gravy; it went beautifully with mashed potatoes and green beans. Combine beef, torn bread, diced onion, garlic, eggs, Worcestershire, salt and pepper. Form into 4 patties. 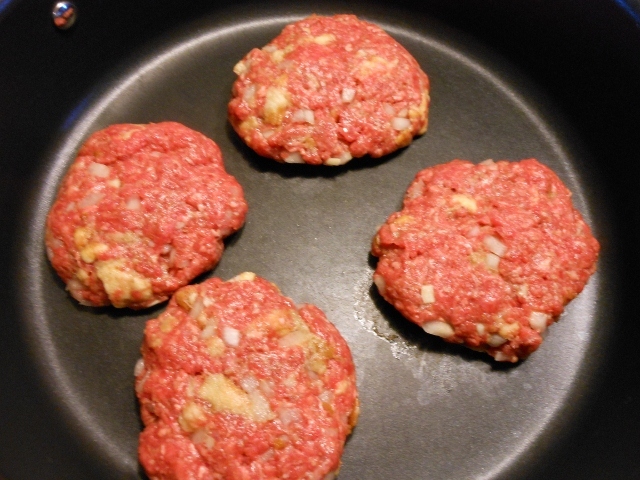 In large skillet sear patties over medium high heat for about 3 – 4 minutes each side. Add beef stock and onion slices; cover and reduce heat. Simmer for about 10 minutes. 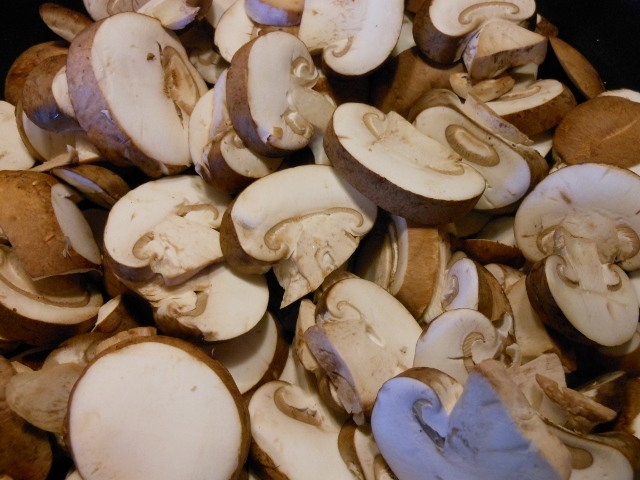 In skillet cook mushrooms in olive oil for about 10 minutes until tender. Season with cayenne, salt, and pepper. Add cup of beef stock, ketchup and Worcestershire; bring to a boil. Combine cornstarch with 1/4 cup cold beef stock and add to boiling liquid stirring until thickened. Remove patties and onions from skillet and place into large casserole pan. Smother with mushroom gravy and bake at 350 degrees for 25 minutes or until hot and bubbly and patties are cooked through.